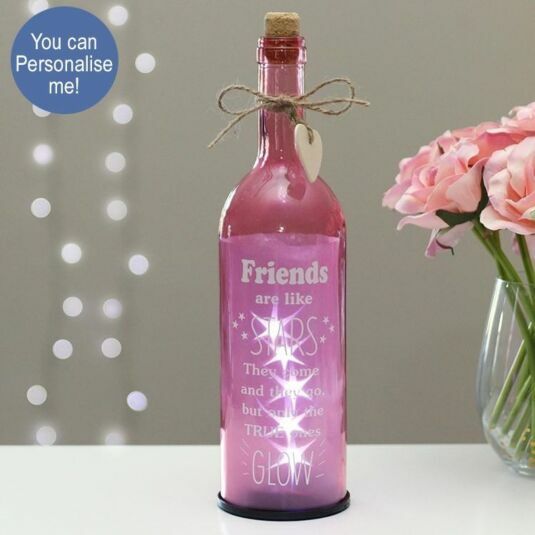 True friendships bring a sense of warmth, light and vibrancy into your life, just like this stunning LED illuminated bottle does with a heart-warming quote printed on the front of a pink tinted glass bottle emitting warmth and a little magic from the stars lit within. Using the on/off switch beneath this bottle triggers a warming orange-tinged pink glow of light which sparkles in formations of pointed stars throughout the interior of the bottle. This bottle is powered by 3 x AAA batteries (not included). ‘Friends are like stars. They come and they go, but only the TRUE ones GLOW! 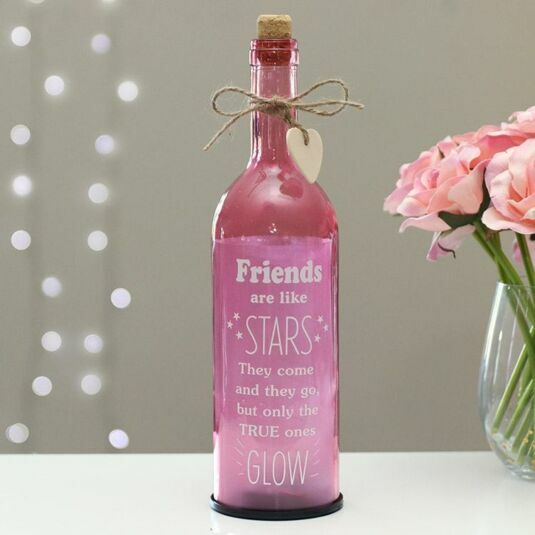 Bring some magic to any occasion and enjoy a gentle starlight glow with this sparkling pink illuminated bottle which is finished off with a real cork stopper on its top and has the sweet added touch of a wooden heart charm for you to present to a friend that glows in your life.